As much praise as Bella Maria has received for quality, even more compliments have been awarded for our speed of installation. Whereas most fabricators will provide a four to six week window for installation, we guarantee installation within a week of receiving a template. 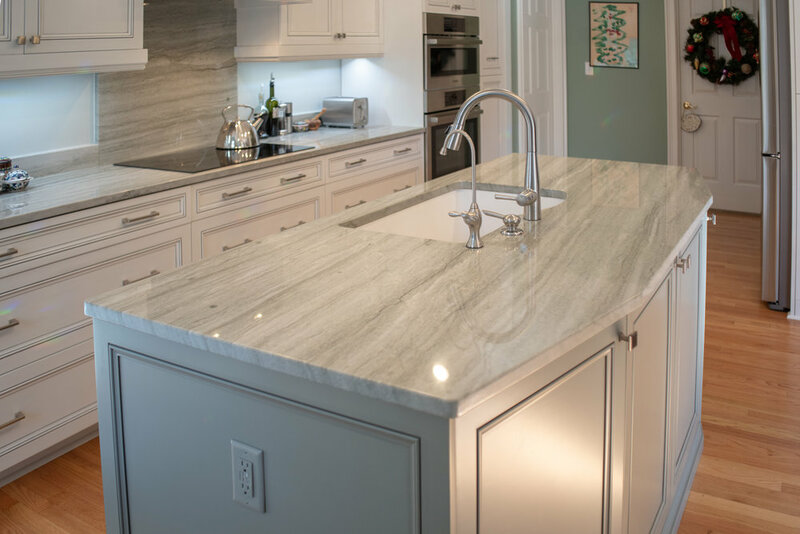 We offer natural stones such as Granite, Marble, Limestone and Travertine; however, understanding that natural stone is not for every customer, we also offer superb engineered products such as Zodiaq by Dupont and Ceaserstone Quartz Surfaces. We stock a variety of natural stones in our warehouse but customers may also select stones from any of our natural stone distributors. Our company understands that solid surface countertops are an art and we strive to create a master piece with each fabrication.